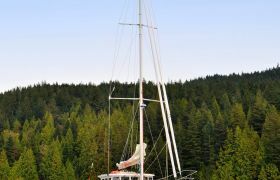 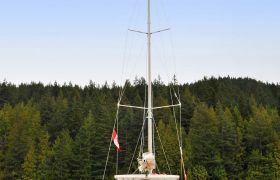 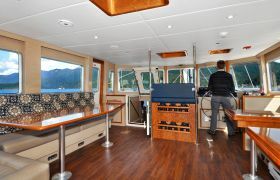 The newly built, SV Island Solitude is 82' long and accommodates twelve guests in six cabins. 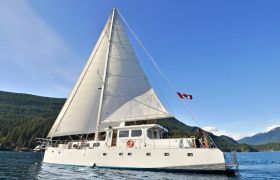 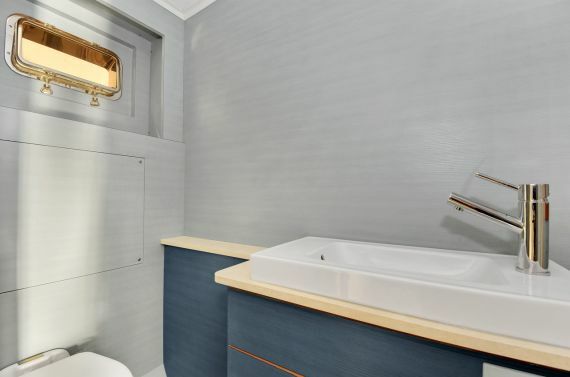 Each is furnished with two lower berths and a private ensuite bathroom, complete with a hot shower. 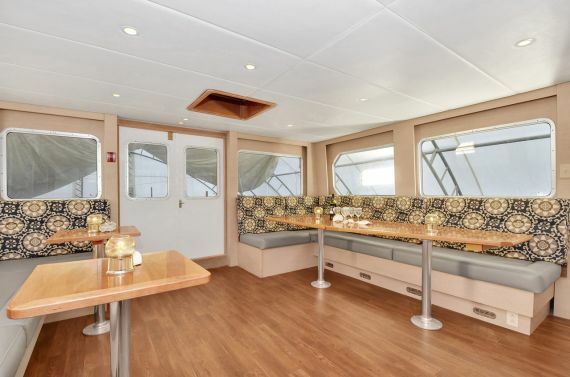 The spacious wheelhouse, located on the main deck, accommodates the entire group during meal time where guests will enjoy healthy and deliciously prepared food surrounded by 360-degree views. 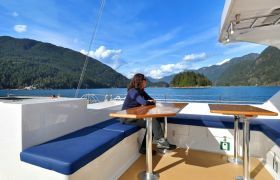 Built on the British Columbia coast with the environment in mind, the engines exceed EPA emission standards. 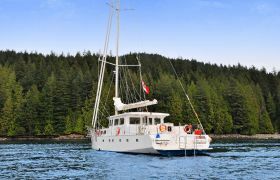 Designed specifically for expedition travel, Island Solitude provides elegance and comfort in while exploring some of the most remote and beautiful coastal areas. 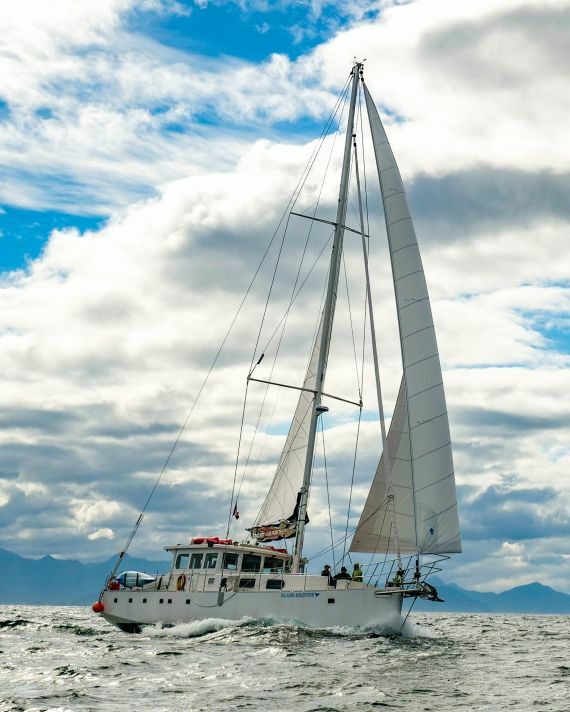 There is plenty of space on deck for wildlife watching with 2 zodiacs for daily shore excursions and 5 stable sea kayaks for guests to use whenever the vessel is at anchor. 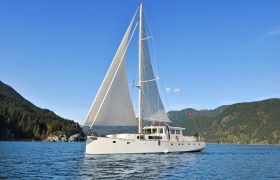 Environmentally, the engines exceed EPA emission standards and the modern hull design was designed for improved sailing performance making it more efficient for travel whether motoring or under sail. 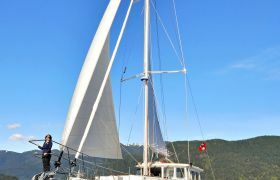 We remain committed to the principles of ecotourism. 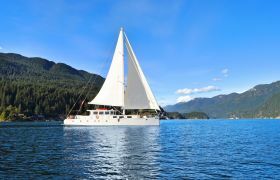 With this in mind, Island Solitude will carry the same number of guests – on average 12. 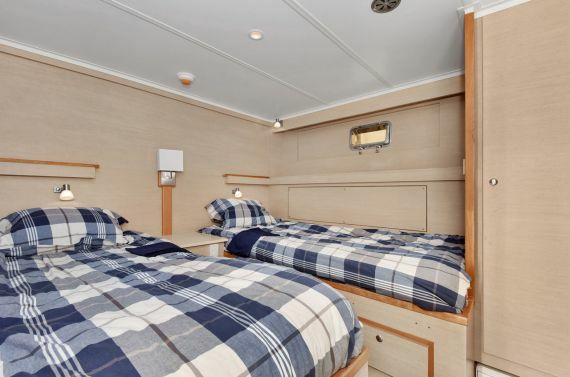 The increase in amenities of this vessel includes 6 guest cabins with two side-by-side berths and private, ensuite bathrooms in each. 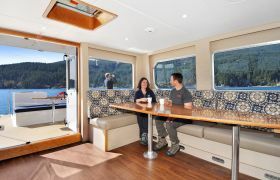 The on deck wheelhouse is expanded so the entire group can share deliciously prepared meals together while enjoying incredible, 360 degree vews! 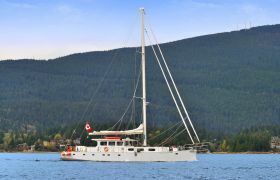 Environmentally, the engines exceed EPA emission standards and the modern hull design was designed for improved sailing performance making it more efficient for travel whether motoring or under sail. 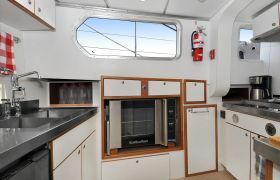 Interested in chartering Island Solitude exclusively? 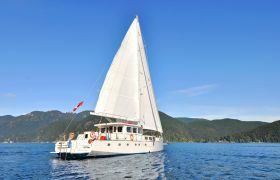 Please contact us for information and pricing.